Telophase begins as anaphase ends. During anaphase, the chromosomes or chromatids on the metaphase plate are separated, and dragged towards opposite poles. When the chromosomes reach the pole for which they are intended, telophase can begin. In order to allow the new cells to begin producing the necessary proteins and to protect the DNA, a nucleus must reform in each cell. The process for how this happens is still in theory. One theory suggests that the pieces of the nuclear envelope reform like monomers of a larger polymer that must be activated to form. In this theory, each vesicle of broken down nuclear membrane receives a signal to connect to the other vesicles. The other theory suggests that the endoplasmic reticulum, with the old nuclear membrane processed within it, fold around the bundled chromosomes. Either way, the nuclear envelope is reformed around each nucleus. Telophase is the final stage of mitosis. The sister chromosomes, once sister chromatids, have now been segregated to the far poles of the cell. The mitotic spindle is no longer necessary because the chromosomes completed their journey. The tubulin dimers fall apart, and much of the microtubule network is disassembled. 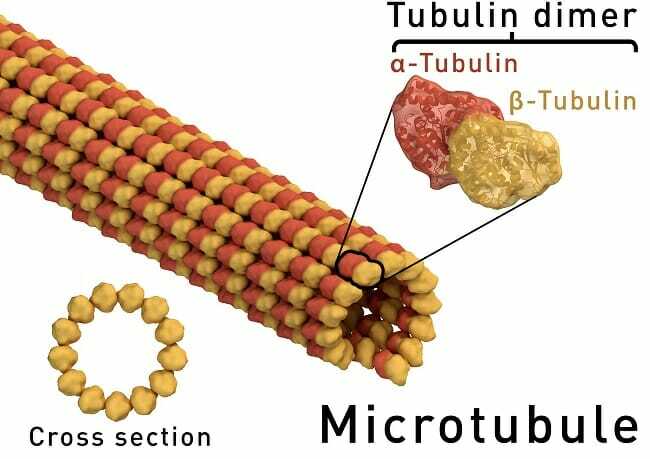 The remainder of the microtubules will function in cytokinesis, which will fully separate the two cells.